If I were one for admitting I am sometimes in the wrong, I would perhaps say that the cutting down on theatre in 2011 hasn’t really worked out for me so far…108 shows seen this year. But there will be a few less this month as I’m going away for a week to Krakow so 1) please don’t rob my flat and 2) here’s a repeat of that meme to tide you over. Who was the best performer in number one (Godspell)? Madalena Alberto was the classiest performer for me, both acting- and singing-wise, in an ensemble which had quite a few good performers. Why did you go to see number two (Precious Little Talent)? Ella Hickson has won awards for her writing, but it was mainly the chance to see Ian Gelder working in such an intimate theatre. Can you remember a line/lyric from number three (Iolanthe) that you liked? What would you give number four (The Coronation of Poppea) out of ten? Somewhere between 6 and 7. Was there someone hot in number five (Moonlight)? Indeed there was, Liam Garrigan was a piece of hot stuff and frequently in his y-fronts which was an occasional merciful relief in the extreme longueurs of the show. What was number six (The Great British Musical) about? 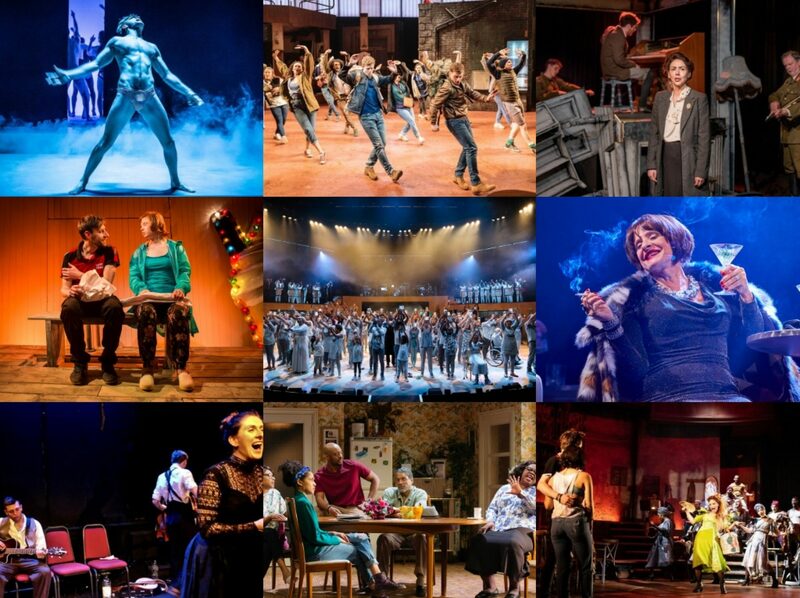 Celebrating musical theatre writing both old and new in this country. And raising money for Perfect Pitch. Who was your favourite actor in number seven (London Road)? Kate Fleetwood was the most impressive as she probably works the hardest, but it was Clare Burt who really touched my heart the most. What was your favourite bit in number eight (Thrill Me)? The way in which the performers dealt with the malfunctioning lights: singing the line “I can’t see you any more” in the pitch dark was too much for anyone to deal with without laughing and Frasca and Maguire were extremely good-natured about it. Would you see number nine (The Tempest) again? I would definitely see it again and had it not been such a short run, I would probably have gone back to the Barbican (indeed a friend booked to see it again practically upon leaving it, he loved it that much). What was the worst thing about number ten (Little Shop of Horrors)? Dentist overacting and general oversinging. The Tempest was a fantastic physical reinterpretation of a much-told story which gave it a real freshness, but London Road seems to invent a whole new genre of theatre with its exhilarating presentation of the voices of real people and an emotional honesty that I didn’t think theatre was capable of. Will have to say Moonlight for the not inconsiderable feat of making 80 minutes feel like HOURS. Iolanthe and The Tempest both had greatly humourous moments in them. Best seating experience was being in the pit for London Road, puts you right in the middle of the performance and subject to some interaction with the actors. No can do I'm afraid – I'm sat on your sofa right now. You could have dusted before you went away. P.S. Where do you keep your diamonds? Love this. Hope you have a good trip.